First of all I must compliment you on your photos Marisa, absolutely professional quality. How clever of you to freeze rhubarb until only the very best strawberries were available. The Canadian berries remind me of the wild strawberries you sometimes see in the Italian markets. I am certain that the jam is delicious with toasted bread, scones, or simply out of the jar in a spoon. Ahhh thanks so much Bella…your too kind! 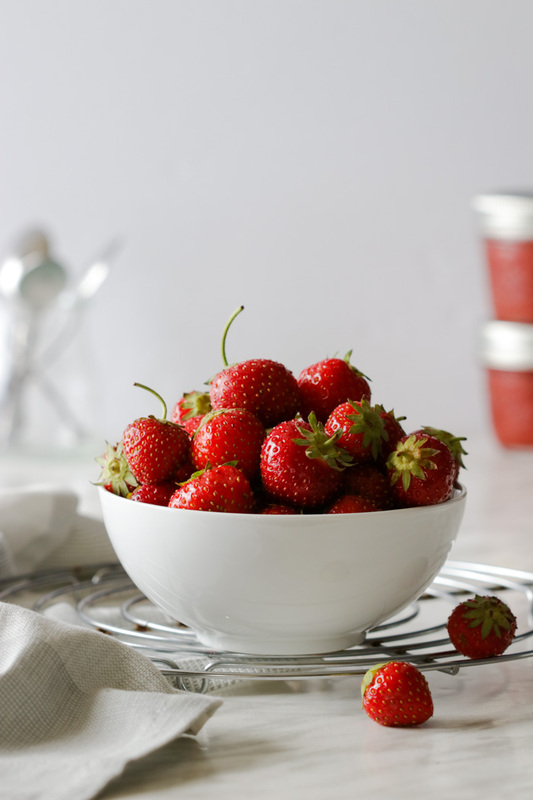 These sweet strawberries are so worth the wait and I actually bought extra just to have some for snacking but they’re best consumed within a day or two…not that they last very long anyway! I may have sneaked in a few spoonfuls of jam straight from the jar, it’s that good! Thanks so much Paula? This looks so tasty! I’m a big fan of rhubarb-strawberry combination. Love the addition of citrus in there too! Isn’t it a yummy combo!! 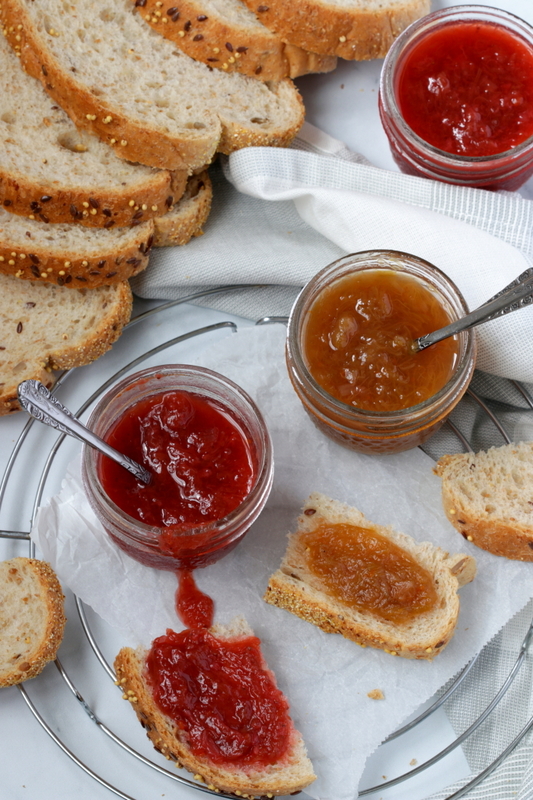 This jam has been my go to snack, slathered on some fresh crust bread…it’s the best snack! Thanks Ronit? We actually picked up rhubarb yesterday from my in-laws’ garden, it was late this year. And our local certified organic’s vendor at the farmers market has strawberries just now. Perfect timing. Love this jam!! Thanks so much Denise! 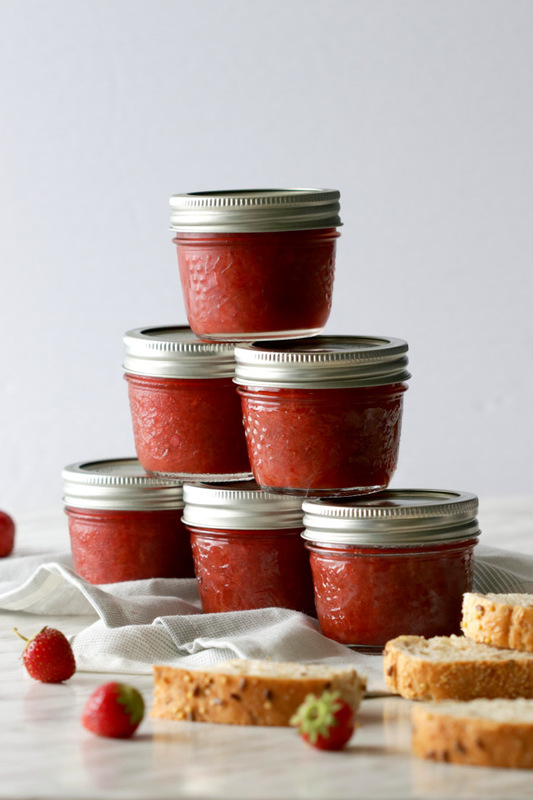 Rhubarb jam on its own is quite lovely with a tangy undertone and I simply couldn’t resist adding the sweet Quebec strawberries which is perfect for those who prefer a less tangy taste! This jam looks divine! I absolutely LOVE the strawberry-rhubarb combination and now I know what to make with the frozen rhubarb in my freezer too! I love the idea of making some little jam jars to give as gifts! Plus strawberry and rhubarb is such a perfect combo! I totally agree Charlotte…they make perfect edible gifts! I’d definitely be a happy recipient of any home made jam! 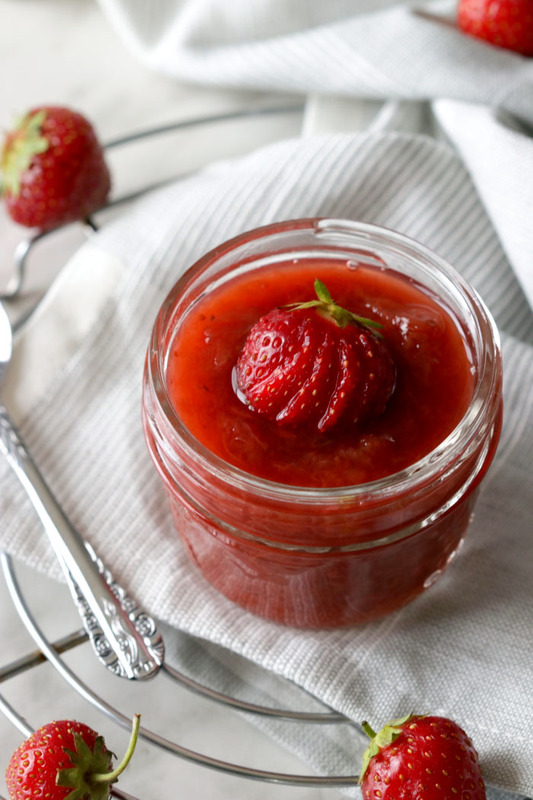 What a wonderful recipe combining strawberries, rhubarb and ginger. And I love your photos! It’s a yummy combo Marcellina and so easy as well! And thanks so much! I love that this is a no pectin jam! And I never thought to freeze jam before. Definitely a good idea!